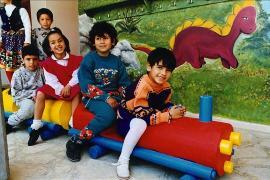 SOS Children's Villages first held talks with representatives of Northern Cyprus in 1989. At that point the country was lacking a clear child care concept, and they showed great interest in the SOS Children's Villages idea. In 1993 SOS Children's Villages started working directly with children in Lefkosa (Nicosia) by providing them with family-based care in SOS families or with day-care while their parents went to work or received training. 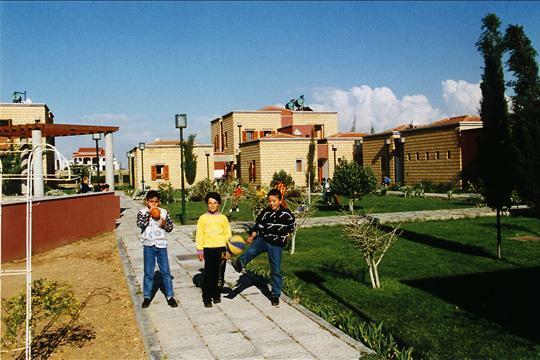 As SOS Children's Village Lefkosa gained an excellent reputation, the local authorities asked SOS Children's Villages to expand its work to reach more children, young people and families in the local communities. Cyprus, in the Eastern Mediterranean Sea, south of Turkey and west of Syria, is the third largest island in the Mediterranean after Sicily and Sardinia. The island's maximum extension is 224 km (between Cape Andreas in the north-east and the coastline in the west). The island's maximum width, from Cape Gata in the south to Cape Kormakiti in the north, is 97 km. The Republic of Cyprus is de facto partitioned into two main parts; the area under the effective control of the Republic, comprising about 59% of the island's area, and the Turkish-controlled area in the north, calling itself the Turkish Republic of Northern Cyprus and recognised only by Turkey, covering about 36% of the island's area. The country covers an area of 9,250 km² (of which 3,355 km² are in the Turkish Cypriot area). Cyprus is a highly urbanised island. The biggest city and capital is Nicosia (Lefkosa) with a population of about 200,000. The population is 1.2 million (July 2011 est.) of whom 77% are Greek Cypriots and 18% are Turkish Cypriots - 1.3% of the Turks live in the Greek Cypriot area; 98.7% of the Turks live in the Turkish Cypriot area. Cyprus joined the European Union in 2004 and the Eurozone in 2008. Although the euro is accepted in Northern Cyprus, the main currency is the Turkish Lira. The lives of the people living in Northern Cyprus are affected by the long-standing political disputes. Given that Northern Cyprus is only recognised by Turkey, the economy is largely dependent on trade and transfers from the latter; Turkey is the main trading partner providing nearly 70 per cent of imports and about 60 per cent of exports. The unemployment rate is estimated to be around 12 per cent. Nearly three quarters of the population works in the service sector, especially in banking and tourism – the revenue for the latter accounts for more than three quarters of the gross domestic product. About a fifth of the population works in industry and construction, and the agricultural and mining sector – accounting for five per cent of gross domestic product – employs four per cent of the workforce. The political situation in North Cyprus has an effect on the lives of children. The fact that the country is not recognised means that international funding for projects is not always available. SOS Children's Villages works closely with local organisations in order to raise awareness regarding children's rights in Northern Cyprus. Although no official data is systematically collected on the number of children who are at risk of losing parental care, it is believed to be very high due to the structure of the population. Many people have recently arrived in North Cyprus and do not have the family and community to help them when they have problems. When difficulties occur, the children are habitually taken into care. There is a great stigma attached to children and families taken into care; the family and child are often rejected by the wider community. Little support is provided to allow the child to return to its family of origin. Children with special needs and young people are particularly at risk. The former have limited access to education and the latter find it hard to secure work. The unemployment rate for young people between the ages of 15 and 24 is around 31 per cent, this figure is much higher than the national rate. SOS Children's Villages runs a variety of programmes to meet the needs of children, young people and families in Northern Cyprus. In addition to the above-mentioned SOS Children's Village and Kindergarten, there is an SOS Youth Programme and an SOS Social Centre. The social centre runs various programmes which includes a family-strengthening programme. The latter enables children who are at risk of losing the care of their family to grow within a caring family environment. To achieve this, SOS Children's Villages works directly with families and communities to empower them to effectively protect and care for their children, in cooperation with local authorities and other service providers. Children whose parents cannot take care of them will find a loving home in one of the SOS families.